Mount your Xbox One Kinect Sensor to nearly any TV with the Kinect TV Mount. It's fast and easy to install, requiring no tools. Perfect for flat panel HTDV's. 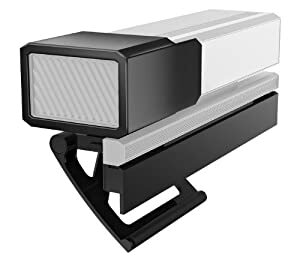 The privacy cover protects your privacy by blocking both the RGB and IR cameras. Top Of The Charts: Over 45 all-new tracks, ranging from chart-topping hits to classic dance party tracks! There's something for all tastes so everyone will find their groove. Want more songs? Download from an expanding catalogue of new tracks from the in-game store. Just Sweat It Out: The popular Just Sweat mode gets an upgrade with more workout plans and playlists. And exclusive on the Wii, up to 4 players can work out together simultaneously in the Just Sweat mode. Also record your fitness efforts and earn sweat points at all times. Stay fit, have fun, and Just Dance! Dance 'Til Dawn: Use the Party Mode and lose yourself in the music! No navigating through menus, no need to stop to select the next song… Just Dance 3 gives you a non-stop dance-a-thon! Too Shy to Dance... But Love to Sing?! : All tracks provide song lyrics on-screen, so even if you don't score points with your voice, you're sure to score some with the crowd! Just Dance 3: The world's #1 dance game* is back! 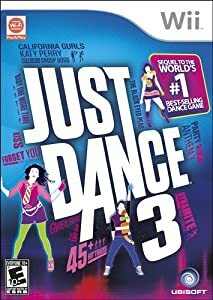 Just Dance 3 kick-starts the party with over 45 tracks from multiple genres and popular artists including today's hottest hits like "Party Rock Anthem" by LMFAO, "California Gurls" by Katy Perry featuring Snoop Dogg, and "Forget You" by Cee Lo Green. Also included are legendary favorites like "I Was Made For Lovin' You" by Kiss. With a variety of all-new gameplay modes, tracks with 4-part choreographies that allow up to 4 players to uniquely shine, and innovative cardio options, Just Dance 3 was made to keep the world dancing! 2 Unlimited – "No Limit"
Anja – "Dance All Nite"
Bollywood Rainbow – "Kurio Ko Uddah Le Jana"
Cee Lo Green – "Forget You"
Countdown Mix Masters – "Beautiful Liar"
Danny Elfman – "This is Halloween"
Donna Summer – "I Feel Love"
Dr. Creole – "Baby Zouk"
Girls Aloud – "Jump (For My Love)"
Gwen Stefani – "What You Waiting For"
Inspector Marceau – "The Master Blaster"
Janelle Monae – "Tightrope (Solo Version)"
Jessie J featuring B.o.B – "Price Tag"
Brahms by Just Dance Classical Orchestra – "Hungarian Dance No. 5"
Katy Perry featuring Snoop Dogg – "California Gurls"
Kiss – "I Was Made For Lovin' You"
African Ladies – "Pata Pata"
Laura Bell Bundy – "Giddy On Up (Giddy On Out)"
LMFAO featuring Lauren Bennett and GoonRock – "Party Rock Anthem"
Madness – "Night Boat To Cairo"
Nelly Furtado featuring Timbaland – "Promiscuous"
Pointer Sisters – "I'm So Excited"
Queen – "Crazy Little Thing Called Love"
Scissor Sisters – "I Don't Feel Like Dancin'"
The Black Eyed Peas – "Pump It"
The Buggles – "Video Killed The Radio Star"
The Girly Team – "Baby One More Time"
The London Theatre Orchestra & Cast – "Think"
The Sugarhill Gang – "Apache (Jump On It)"
Tommy Sparks – "She's Got Me Dancing"
Wilson Pickett – "Land of 1000 Dances"
© 2011 Ubisoft Entertainment. All Rights Reserved. Just Dance, Ubisoft, Ubi.com, and the Ubisoft logo are trademarks of Ubisoft Entertainment in the U.S. and/or other countries. Wii is a trademark of Nintendo. *Based on MOKA and NPD per unit sales. An expanding list of down-loadable tracks will be available at launch to fuel every player's dance frenzy. 2010's best-selling dance franchise returns with the highly anticipated third iteration, Just Dance 3. Dance to over 40 of the hottest hits from yesterday and today, spanning a wide range of genres that are sure to please any music fan. Using only the Wii Remote, Just Dance 3 is the perfect dance game for any age or dance ability, so it's easy for anyone to join the movement! With a variety of all-new gameplay modes, tracks that allow up to 8 players at once, and innovative cardio training options, Just Dance 3 was made to bring the party and keep America dancing! 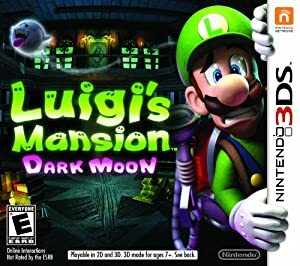 Help Luigi overcome ghastly ghosts, mind-melting puzzles, and his own clumsiness in an all-new spooky adventure. Armed with his trusty Poltergust 5000—a ghost-catching vacuum cleaner—and all the courage of a wet napkin, the green-hatted hero needs your help to battle through five massive mansions full of hidden passages and bone-chilling challenges. Whether you’re charging up the new strobe light to stun a slime-tossing Gobber ghost, revealing illusions with the new Dark Light Device, or reeling in multiple poltergeists with timely button presses, you’ll need to use all of your paranormal survival skills. 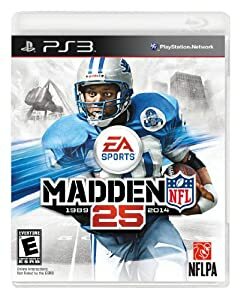 Celebrating 25 years of innovation, Madden NFL 25 unlocks the power, precision, and creativity of the NFL ball-carrier. Whether you’re a slashing running-back, dual-threat QB, or ball-hawking safety, unleash 30 new moves and string together devastating combos with the all-new precision modifier in Madden NFL 25. 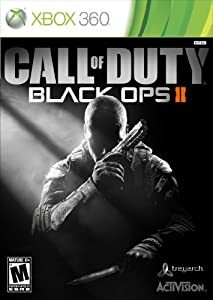 Call of Duty®: Black Ops II is a First-Person Shooter (FPS) that revolves around unique gameplay that propels the Call of Duty® franchise into a world of future warfare, and back again to the modern era. The game is a sequel to the 2010 release, Call of Duty®: Black Ops, and features returning Black Ops characters Sgt. 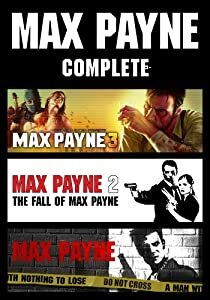 Frank Woods and Agent Alex Mason, joined by a wealth of new characters. Additional features include: two distinct yet linked playable time periods, advanced weaponry, branching storylines created by player choices in Strike Force missions, exciting multiplayer options, and more. The SWTOR Cartel Coins bundle will feature a new pet on November 5th at 10AM PST. All redemptions on SWTOR.com made after this time will get the new pet rather than the old pet. If you want to redeem your code for the old Umbral Blurrg pet, please redeem your code before November 5th, 2013. The Umbral Blurrg is a lizard used for transportation on the forest moon of Endor. It is typically used as a beast of burden by the pirates of Endor known as the "Marauders". This is a special version of the Blurrg, the Umbral Blurrg, adapted by our team as an exclusive pet for Amazon so very valuable in-game. LucasArts, the LucasArts logo, and STAR WARS are registered trademarks of Lucasfilm Ltd. © 2012 Lucasfilm Entertainment Company Ltd. or Lucasfilm Ltd. & ® or TM as indicated. All rights reserved. Game Code © 2012 Electronic Arts Inc. All rights reserved. EA and the EA logo are trademarks of Electronic Arts Inc. BioWare and the BioWare logo are trademarks of EA International (Studio and Publishing) Ltd. All other trademarks are the property of their respective owners. For technical support, please visit http://support.swtor.com. Important Note: The SWTOR Cartel Coins bundle will feature a new pet on November 5th at 10AM PST. 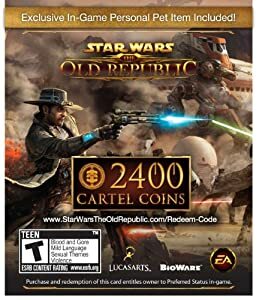 All redemptions on SWTOR.com made after this time will get the new pet rather than the old pet .